Seamless dependability with RJ Gravity Grain Boxes.Moving grains to beans to fertilizers, rely on RJ for years of efficient, dependable service.Spend more time harvesting and less time unloading with RJ’s fast-pour hopper design and seamless hi-slip graphite finish. 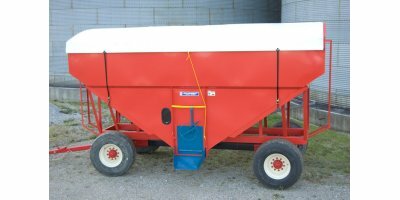 With all-welded steel body construction, seamless RJ Grain Boxes minimize rust traps to last longer. Get true value with true capacity ratings in RJ quality-built boxes sized from 400 to 725 bushels. Our steep-sloped sides let crops and materials slide out quickly in all box sizes; our high-slip graphite finish ensures clean, snag-free unloading - no need for messy sealants. Quality construction keeps your wagon rolling true on trusted Horst running gear. Add complete light packages to ensure bright visibility and a safe return on late night deliveries. 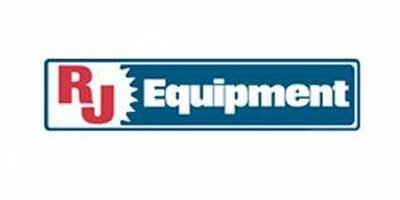 The industry-preferred RJ rack & pinion grain door mechanism allows reliable, effortless operation every time. The built-in air pocket design prevents awkward seals and jams from forming at the door. No reviews were found for RJ - Gravity Grain Boxes. Be the first to review!